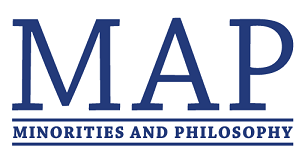 ​﻿Compass is an initiative of MAP, a collection of students in English-speaking philosophy departments that aim to examine and address issues of minority participation in academic philosophy. The American Philosophical Association (APA) provides a number of excellent resources for undergraduates interested in philosophy. ﻿The APA also provides information about other initiatives that aim to encourage and support undergraduates from other underrepresented groups in philosophy. Philosophy in an Inclusive Key Summer Institute (PIKSI) is designed to encourage undergraduate students from under-represented groups to consider future study in the field of philosophy. PIKSI will emphasize the on-going project of greater inclusiveness that is transforming the discipline, inviting students to be participants in the conversation.